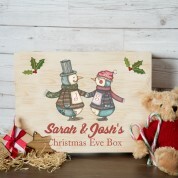 Couples His and Hers Personalised Wooden Christmas Eve Box. 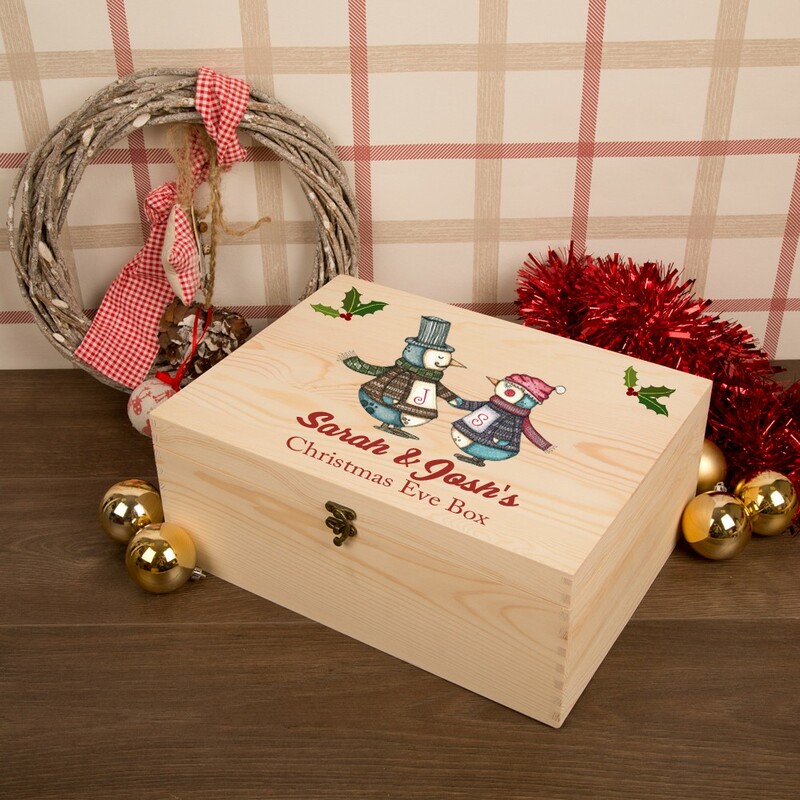 a unique, personalised Christmas Eve Box to keep for years to come. contents to set up a cozy Christmas Eve night. 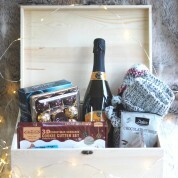 Get creative with your box or check out some of our suggestions! ● Festive book, dvd or board game to enjoy together. ● Have some fun in the kitchen with a cookie baking kit. 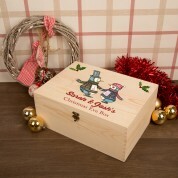 ● Christmas decoration to mark a special Christmas together.